According to a report by FutureCar, this freeway will connect Beijing and the Xiongan New Area in Hebei province, and will be operational by 2020. It will have smart sensors along the self-driving car lanes, and a smart-toll facility for easier payment. The highway will have a speed limit of 62 to 74 mph. A report suggests that by 2020, half of the new cars in China will have some self-driving functions, and developments like self-driving lanes will certainly encourage popularity. China has also set the target of installing C-V2X (Vehicle to Anything) sensors in 90 percent of the country by 2020. Last year, the country laid out rules for testing self-driving cars in the country. While most companies had to experiment with autonomous vehicles in designated areas, Chinese search giant Baidu got permission to try out self-driving cars on city streets. Other local tech companies like Tencent and Alibaba are also working on platforms. Later city administrations of Beijing, Chongqing, Shenzhen, Guangzhou, and Shanghai have opened up their roads for AVs, paving the way for a faster public rollout. A study by KPMG published earlier this year suggests that China is ranked 20th on the Autonomous Vehicle Readiness Index. The report indicates that a country’s ranking can drastically improve if there are a large number of local companies working on AV technology. While some US states have thought about building dedicated lanes for AVs, they have yet to be actualized. If China manages to complete the project on time, it will show the world the country is ready to take the lead in self-driving car adoption. A report by McKinsey published last year notes that China’s AV industry can rake up to $500 billion by 2030 in car sales and services. With lanes for autonomous cars, cab-hailing companies can offer fast and convenient rides to the consumer without worrying about driver costs. 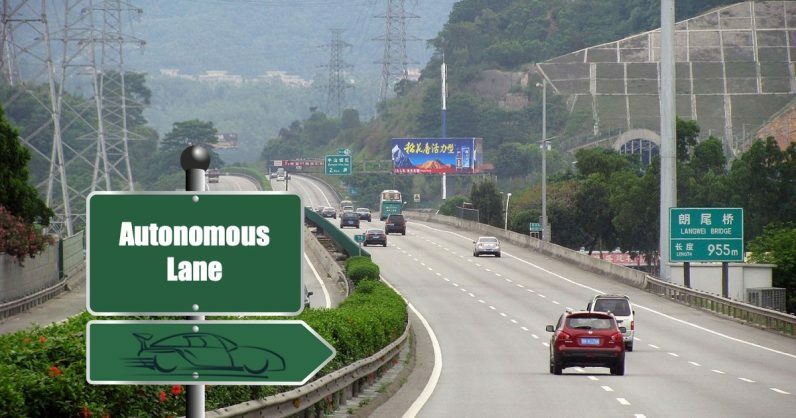 Plus, China‘s dedicated AV lanes will help in avoiding AV-related deaths.